ROAD TOWN, Tortola, VI – The Crown is currently still awaiting the testing of material evidence in the matter of Michael Lloyd of Brewer’s Bay after he was allegedly found with several marijuana plants sometime last year. When the matter came up for hearing today, April 9, 2013 before the Magistrate’s Court, Crown Counsel Leslie Ann Faulkner expressed that Police officers of the Major Crimes Unit were still awaiting the arrival of the analyst who is residing abroad. The defendant was charged with unlawful possession of cannabis after allegedly being found with four marijuana plants on July 11, 2012. Lloyd pleaded not guilty when he appeared before the court on August 17, 2012. At the time of his arrest, he reportedly requested that Police officers give him a break after requesting to hide the plants he was found with. 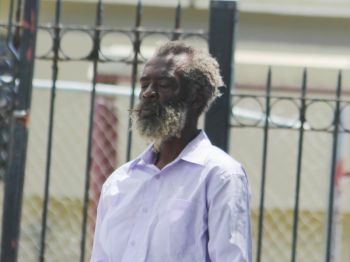 Meanwhile, Senior Magistrate Tamia Richards expressed surprise today when it was disclosed by the Prosecutor that officers generally wait until there is a certain quantity of evidence to be tested before summoning the analyst. “We can’t have Mr Lloyd and others coming here then,” Magistrate Richards said. She indicated that the analyst would come to the Territory to inspect another “big haul” of drugs and the situation would remain the same, meaning that lesser drug quantities would remain untested. She suggested that the Police should either have the person test what is there or train someone to do so. The prosecutor said the suggestion that someone should be trained had been made from time immemorial. “It’s really not fair to the defendants,” stated Magistrate Richards. The magistrate suggested that a final court date be given to the defendant since the matter was approaching a year without the alleged evidence having been tested. The defendant also had additional pending matters before the court which were being stood down until witnesses in the matter could attend later in the day. Lloyd remains on $10,000 signed bail with one surety regarding the illegal drug possession charge. Here goes a job that any young BVIslander should think about studying. The government refused to hire someone to come here and do the job so if someone from here qualifies themselves then the job is here waiting. Agree, why are there not drug experts within the Police. A short course to say what is obvious, that is cannabis, that is cocaine. It is not rocket science, so why is an analyst being paid top dollar to come all the way from Barbados. Waste of money. Aryo let the man go the plant is good for you. there is alot of people around here that can tell is the herb is good......:) including police !!! ...but for real, law was created to protect the man not to abuse him, it is so unjust. The money spent for so called, "analyst", should be directed to create a job for Mr. Lloyd in agroculture dep. so we have nice fresh vegies and fruits. By punishing him, we - "the people" are cutting our own branch that we are siting on, by paying double for imports of poison (chemicals) coated food. Where is the sense in this Crown Counsel Leslie Ann Faulkner, and it goes for Magistrate Richards as well. Please try to see "Big picture", and free yourself from this political correctness at the expense of old anr harmless man. Have a hart and brain to go with it. Lawd ah mussy look he face! The police dont wait on large qunatity is that they just allow the big amount to test first and is sometimes because they cant find the drugs they blame the analyst.